Care Connection Home Care specializes in offering an array of home care services as part of the care plan prescribed by your doctor, while doing it in a sensitive and concerned way. Matching and connecting the right caregiver to you or your family member is what we do best. If you or a loved one is recovering from an illness and need assistance by a qualified home care professional, Care Connection Home Care will provide you with someone who is thoroughly trained, experienced, loving and trustworthy. Typically, our clients are individuals returning home from a stay at the hospital or rehabilitative facility or they may be a senior already at home, simply in need of the non-medical assistance of a companion. In either case, a client is likely to be frail or may have some physical, medical or mental issue that needs to be addressed by a home care professional. Following a thorough assessment by our nurse, the exact needs of each and every client is determined. A client may require the skilled care of a nurse or home health aide or the non-medical practical home care assistance of one of our companions. Providing some basic needs such as meal preparation, laundry, light housekeeping, medication reminders, assisting clients through their homes safely, taking them to doctor’s appointments, on outings, etc. makes a world of difference. Equally important is establishing a relationship with the client whereby the caregiver becomes a trusted friend. Without saying, quality of life is best when a client is in their own home. Our experienced Home Care Coordinators enjoy helping others. By conducting a lengthy interview with the client and their family, placement of just the right caregiver is made. We will listen and respond to your needs to make the appropriate match. Because we are a small company with years of home care experience, Care Connection Home Care can give you the personal attention you deserve. Not only are Care Coordinators concerned about the needs of our clients, they go the extra mile to listen to the needs of our caregivers. After all, when a caregiver is content, they can give the most to their client. 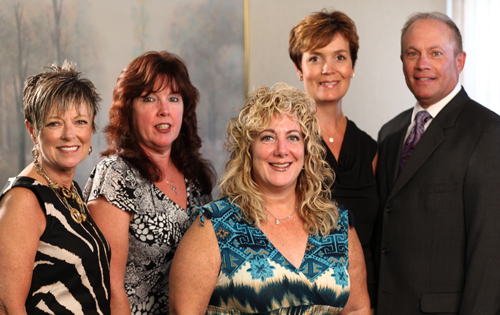 We are fully licensed to provide home care services in Nassau, Suffolk & Queens Counties. Care Connection Home Care specializes in offering an array of home care services ranging from those of a registered nurse, licensed practical nurse or home health aide to the non-medical services of a home companion who can assist the client with their day to day needs. Is Care Connection Home Care LLC, a licensed home care agency? Care Connection Home Care is fully licensed by the State of New York to provide home care services in Nassau, Suffolk and Queens Counties. How long has Care Connection Home Care been providing services and has it always been owned by the same person? In 1998, Dr. Richard W. Scher founded Care Connection Companion Services, Inc. to assist the elderly with practical non-medical day to day needs so they can remain safely at home. Recognizing the need that many clients had for more skilled care, Dr. Scher founded Care Connection Home Care, LLC, a NYS licensed home care agency. Dr. Scher remains the owner and Executive Director. Is Care Connection Home Care LLC insured? Care Connection Home Care is fully insured and our caregivers are bonded. Care Connection Home Care fees are reasonable and affordable and may be covered by Long Term Care Insurance, Workers Compensation or No-Fault Insurance. For further information regarding our fees, please feel free to contact our office at (516) 308-4633. Are our services covered by Long-Term Care Insurance? Long-Term Care Insurance will cover our services. It is recommended that clients contact their Long-Term Insurance Carrier to discuss the terms of their coverage. What areas do Care Connection Home Care cover? Care Connection Home Care provides services in all of Long Island and Queens County. Are Caregivers our employees or are we a registry or a referral service? All Care Connection Home Care caregivers are our employees. As such, all payroll matters are handled by our payroll department, not the client. Employees are provided workers compensation and disability benefits through Care Connection Home Care. Care Connection Home Care is not a registry or referral service. How does Care Connection Home Care screen our caregivers? Care Connection Home Care draws from a wide pool of skilled and experienced caregivers. In addition to a thorough criminal background check, caregivers must have completed a recent physical examination. Caregivers must also present at least 2 verifiable work references and current professional credentials. Equally important, caregivers are hired based upon their sensitivity and knowledge as caregivers. Care Connection Home Care prides itself in timely placements of caregivers. 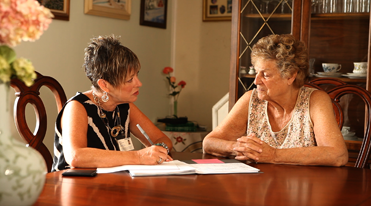 Once our Registered Nurse completes her client assessment, just the right caregiver is placed. Once services have commenced, can I change my original schedule? Yes, Care Connection Home Care will accommodate any schedule change a client requests. Can I request a different Caregiver? Yes, Care Connection Home Care prides itself in matching just the right caregiver with a client. If, for whatever reason, a client requests another caregiver, a change will be made in a timely fashion. How do you supervise and oversee the care provided by our caregivers? The Care Connection Home Care, Director of Nursing supervises all staff to insure adherence to the Plan of Care. The Director of Nursing officially opens the case and creates the Plan of Care to fulfill the physician’s prescribed home care orders. Our Director of Nursing will also conduct “In-Service” training for our HHA’s and PCA’s to insure that staff is up to date on all the latest home care techniques and protocols. My siblings and I wanted to take this opportunity to let you know what a blessing it has been to have Marcia Birch take care of our parents. She never ceased to amaze us with her strength, her organization and her pleasant attitude. She treated our parents with the utmost respect and we are forever grateful. Words cannot express the thanks we have for sending Marcia to us. She is a consummate professional and we would recommend her highly.